Earlier this month, the award-winning social leadership charity RECLAIM launched their new report into social mobility in higher education. ‘Educating All’ is the result of a youth-led research project which enables working class young people to explore the barriers faced at some of the top universities in the country. One of the report’s authors, Martha Hilton, reflects on their recommendations and how policy makers can take them forward. Despite efforts by successive governments, universities and employers to put social mobility higher up the public agenda, social and educational inequalities are still major problems in our society. Not only are working class young people less likely to go to university in the first place; they are also more likely to drop out, and less likely to achieve the highest degree classifications once they are there. A recent report published by the Equality and Human Rights Commission (EHRC) showed that black, Asian and ethnic minority workers with degrees are two and a half times more likely to be unemployed than white workers with degrees. Research from the Higher Education Funding Council for England (HEFCE) in 2015 also showed that 77% of students from the most advantaged areas with ABB at A-level go on to gain a first or upper-second class degree compared to 67% of those from the most disadvantaged areas. Students’ low confidence in their abilities and identity as an effective learner in higher education may drive these disparities, which may be particularly true of working class students without a family or school background of participating in higher education. Social mobility is all too often seen as an issue for the minority in this country, but it is an issue for the majority. Universities need to be at the forefront of progressive social change, starting with having institutions that sound and look like the whole of the population, not just a small and powerful section of it. Educating All explores the issue of social class within elite universities and best practice in terms of social mobility within higher education. The report makes key recommendations to universities in order to improve the attainment, retention and well-being of working class students. Despite government loans and bursaries from universities, we found that finance is still a major barrier for students from low income families; when socialising with peers for whom money was never an issue, social opportunities, holidays and university trips and societies are often unattainable. A classics student at the University of Oxford spoke of ski trips costing in excess of £800 and college balls costing over £200 not including white tie hire, reflecting that social opportunities ‘passed him by’ because of family income and background. Recent changes to government policy such as the scrapping of maintenance grants and bursaries, will have an adverse effect on those students most in need of support. In addition, the proposed Teaching Excellence Framework proposes to link tuition fee rises to an assessment of teaching quality, meaning fees could reach £11,697 a year by 2025-26. Universities have a responsibility to make sure that no student is discriminated against based on race, gender or sexual orientation, according to the Equality Act 2010. However, class is not included as a protected characteristic in this act, meaning it is not illegal to discriminate against someone based on class. In a society where class inequality is still a major issue, this is absurd. While most universities have some form of Diversity, Woman’s or BME Officers, in order to represent and stand up for marginalised or minority groups, the Educating All report recommends that universities also appoint a Working Class Diversity Officer to represent the working class student population. Disparities also exist in employment outcomes after graduation. Research has shown that graduates from private schools in top jobs earn £4,500 more than state school pupils, three and a half years after graduating. Despite efforts in recent years to change the social make-up of many professions, currently only 4% of doctors, 6% of barristers and 11% of journalists are from working class backgrounds. Hidden codes, cultural capital and access to influential networks still remain barriers to working class young people, even after graduating from a top university. The idea that getting into a top university is a social leveller, is simply a myth. A law graduate from the University of Bristol said that when she was accepted her university place, “that’s when we thought the social inequality and educational inequality ended”, but when she got there it became apparent within the first few weeks that “this obviously wasn’t the case”. Educating All recommends that universities provide internship schemes aimed at students from widening participation backgrounds, which include financial support for unpaid internships or voluntary work and access to influential networks. The State of the Nation Report 2016 suggests that unpaid internships are one of the greatest barriers to social mobility and recommends a total ban. There are pockets of good practice happening already across the sector, for example the University of Manchester Careers Service offers a Work Experience Bursary to help students undertaking an unpaid or low-pay role with costs such as travel. In addition, the Student Experience Internships scheme offers undergraduates the opportunity to undertake an eight week fully paid internship at either the university, a charity or not-for-profit organisation. However, universities need to do more to share these methods of good practice and, crucially, to measure their impact if they are serious about creating true and lasting social change. Higher education is an important tool for social mobility and universities need to make sure they are accessing and supporting applicants from the diverse and wide talent pool that this country has to offer. For the sake of working class young people and for the country as a whole, we cannot afford to continue to waste the talent of such a large section of our society. 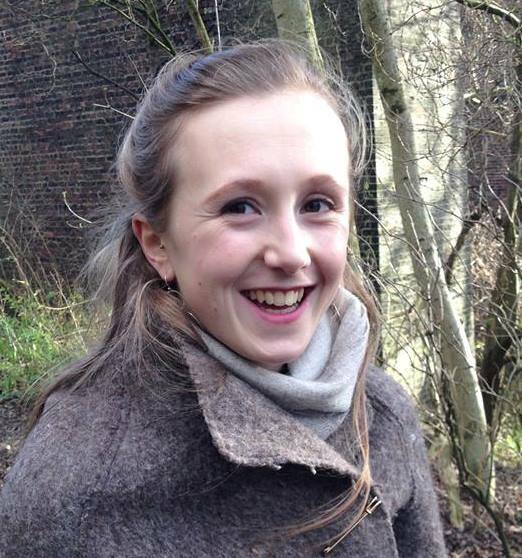 Martha Hilton grew up in Manchester, attending Chorlton High School and Loreto College. She has recently graduated from Imperial College London and is now a researcher at RECLAIM. She has co-authored the Educating All report, which explores barriers faced by working class students at top universities.